For a little over four months now, our baby has been in the NICU. It’s the hardest journey I’ve ever been on. Every day is a constant roller coaster, and frankly I am not a fan of roller coasters in the first place. Constantly my emotions go up and down. Pain is an ever present pressing feeling in my heart. People tell me I’m strong, that they admire me for the strength I have. I don’t think they fully understand and I’m thankful most can’t as I’d rather no one have to go through this journey. What I am sustaining with is not anything near strength. It’s the strongest love I have ever felt. It’s helplessness. It’s a circle of handing it to God then taking it back, only to be reminded I can’t handle it and hand it over again. In these four months I have prayed, cried, pushed away, begged and thanked God for every up and down we’ve had. I know He has her in His ever loving hands and deep down I know He is going to take better care of her than I ever could as He heals her. My pain doesn’t subside. My heart aches for her, for me and for my family. Always. One day, the story of our journey with Little Miss will be used as a tool to show God’s mercy and love even in times saturated with darkness and storms. He has been merciful and loving, He has strategically placed amazing people around me that lift me up and help me each day. He has strengthened our marriage and has shown us the depths of love, marriage and parenthood. I am thankful for these things. Thankful He has cleared out some of the ‘trash’ in our lives, thankful He has taken this time to help form the people we need to be in Him. I am also tired. Not just physically but emotionally. My spirit cries out to Him daily. Each day I pray with my daughter, I want her to know how to pray and that He is always there. Especially since our natural tendency is to doubt and run from Him. I pray she will be healed, that she will be a living testimony to His glory. At the end of the day, it’s about Him. Even though the mommy in me wants it to be about my beautiful baby, wants her healed in MY time, on MY terms. I’m learning though, to submit to God. To understand that I don’t need to understand. Yeah, wrap your mind around that. An incredibly wise woman recently told me that in the moments where I feel like He isn’t hearing my prayers or I’m too broken to pray that I need to remember that many others are praying and even if I doubt He hears me, He hears them. I hope you’ll pray for Little Miss with me. 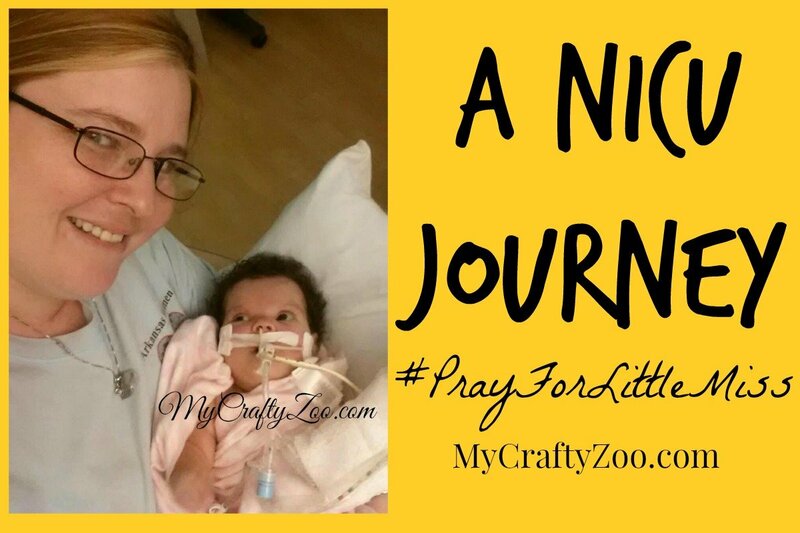 You can find pictures and such using the hashtag #PrayForLittleMiss I appreciate your comments and support. May God Bless you and Keep you.